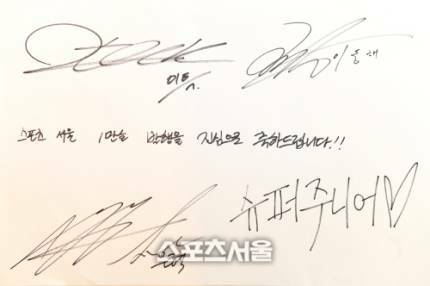 [Sports Seoul Reporter Lee Jiseok] The path that Super Junior (SJ) walked on is in many ways similar to the Sports Seoul who reached our 10 000 publications on the 14th. We both hold many records for being the ‘first’ for many things in our respective fields. 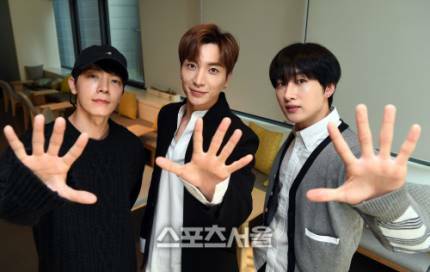 While Sports Seoul, which was founded in 1985, was the first to write a whole article in horizontal writing in Korean, was the first to do colour editing etc., offering a new paradigm to sports news, SJ who debuted in 2005 initiated a new direction for the junior idol groups from the mid to late 2000s, they are actually the ‘textbook for current idols’. It is to the extent that it is safe to say that all the idol groups which debuted after SJ are under SJ’s magnetic field. Even though SJ is not the first idol group, they have a long list of records of being the first, till the extent where listing each and every record down is difficult. During the time where having 4~6 members was the norm, SJ led the path of a new trend for the size of idol groups by debuting with 12 members (Hankyung, Kibum left. Kyuhyun joined later. Currently have 11 members). Since debut, they systematically did both group activities and individual activities, using a strategy where there are ‘separate and then together again’, that was a first as well. Among idol groups, there were the first to have unit activities. They were the first team to have a China member (Hankyung who left in 2009), and they were first idols to appear on a home shopping channel. While they had their peak, they were also a team who faced all kinds of incidents and accidents, and every time, they will come up with a suitable response to counter the difficult situation, showing the junior idol groups what is the proper ‘risk management’ procedure. 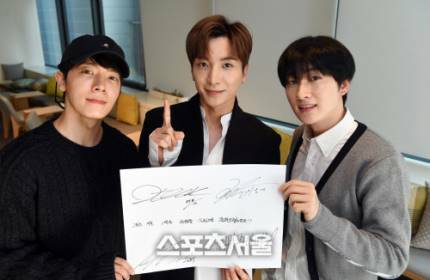 On the afternoon of the 12th, to commemorate Seoul Sports’ 10 000 publications, we went to SM Entertainment’s office in Seoul Cheongdam-dong to interview SJ leader Leeteuk, SJ’s popular unit D&E members Eunhyuk and Donghae to understand the pride, concerns and other thoughts of a member of a team which has been active in their field for such a long time. SJ is currently promoting with 6 members. Through XtvN’s ‘Super TV’, they show you how they are entertainers who process the large range of variety shows’ formalities with a colour that only Super Junior has, and in April, they plan to release their repackage album. Q: Please tell us what you are doing recently. 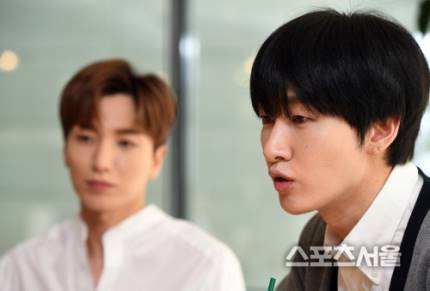 Eunhyuk: SJ is currently preparing for our repackage album. We plan to release it next month. We filmed the music video awhile ago. We’re having our overseas tour as well and so we’ve been spending a lot of time overseas together with our members. I have also been going to Japan for the D&E activities that I do with Donghae. It a pity that the chances we have to meet our local fans are a bit insufficient. D&E has been releasing singles and music videos every month since November last year. They will collate all those songs and put them in a full-length album which will be released in either summer or autumn this year. 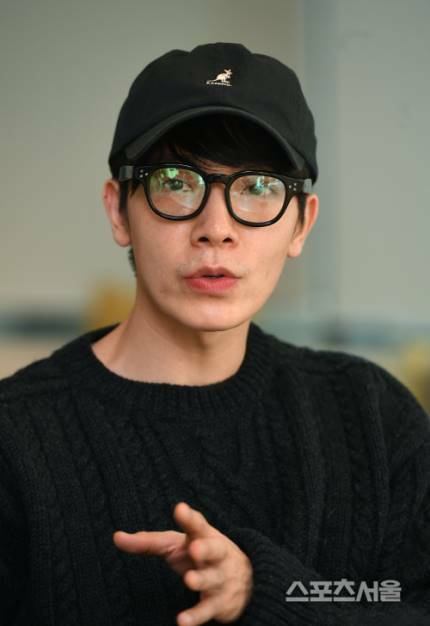 Donghae: All these while, I didn’t appear on many variety shows etc. but my chances to appear on shows with my members are increasing. I am doing D&E activities with Eunhyuk and this year, SJ as a whole and D&E will have schedules simultaneously. Leeteuk: For me, I’m doing broadcasts diligently. The number of people who watch EBS ‘The Best Recipe’ is more than I thought. Whenever I go to a restaurant or a supermarket, the aunties will give me a lot perks. I’m also on Mnet ‘ICSYV 5’, and am also diligently filming XtvN ‘Super TV’ with SJ members. SJ’s repackage album that is coming out in April is not a normal repackage album. Although I still can’t talk about it now, we are preparing something special. “You are doing a thing like this?”, I think we will hear words like that. Q: How about the other members’ recent activities? Leeteuk: Last November, we filmed a CF, Shindong was the main director. While he films shows, Shindong is also busy as the director for music videos and CFs. He is always the last to leave the set and so I asked him “aren’t you tired?”, but he said, “if I’m doing something I don’t like, I’d be tired, but because it’s something I like so much, I feel happy even if I have to do it for days all night long.” Recently I’ve appeared on variety shows together with Heechul a lot, that guy is a man who lives on memories (meaning he is very sentimental). When we’re together, we talk a lot about the past. The team atmosphere recently is better than it has ever been. 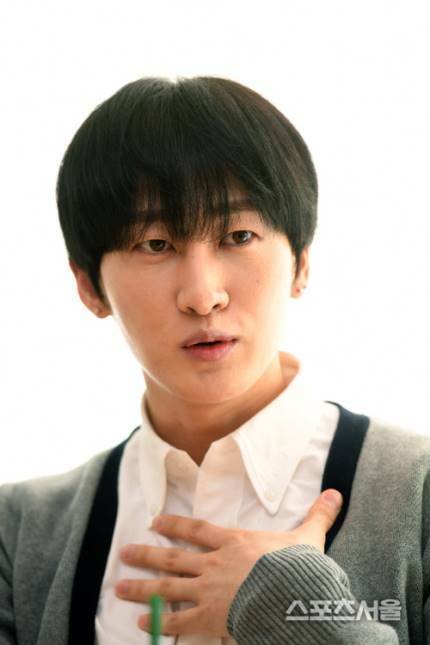 Eunhyuk: Our team’s eldest hyungs Leeteuk hyung and Heechul hyung have definitely became closer. Recently, they are at the closest they’ve been since debut. Looking at them talk to each other more, we the dongsaengs feel more secure. There were lots of crises in their relationship. (laughs) (Leeteuk: Was that time in 2009 the biggest crisis for our relationship?) Leeteuk hyung’s and Heechul hyung’s personality and propensity are totally different. That’s why it’s tiring to watch when both of them do broadcasts together, but recently they’ve been appearing together more and more. 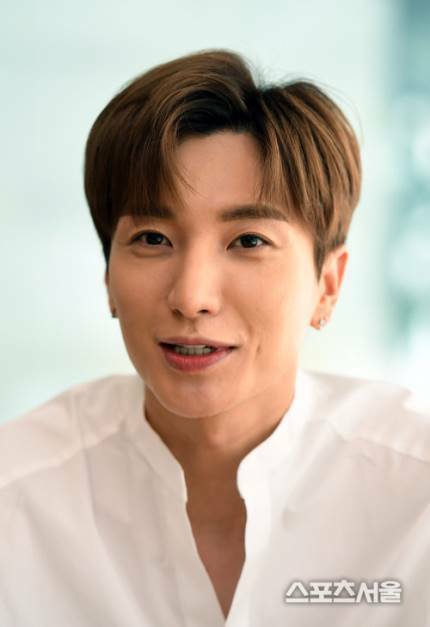 Leeteuk: The members are my family which I see more than my own family. Fights occur within families. We bickered a lot but now we have the know-how to help each other unwind. As time goes by, we get to know more about what each person doesn’t like and what each person needs. 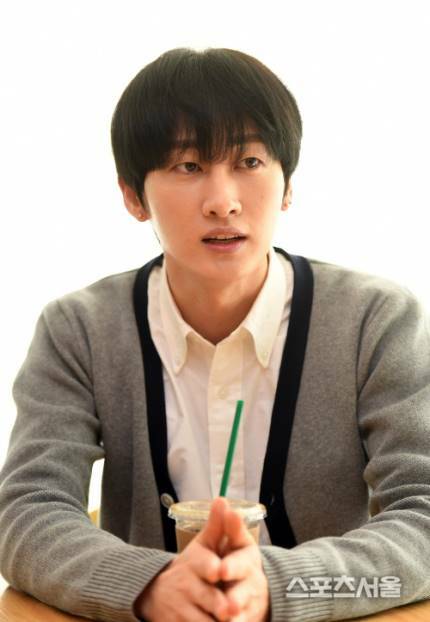 Eunhyuk: Recently, Yesung is doing variety programs and his Japan musical, even though he’s suddenly really busy and has too much schedule for him to manage, he gets strengths seeing the fans like it. Leeteuk: As for Siwon, although he couldn’t promote with us for our previous album, he is doing our concert tour with us. We practice and work out together. I think it will be difficult for him if even the rest of us are depressed when we’re together, so we try to think and talk about happy things. Public service worker Kyuhyun has gained weight recently. Because he likes food and wine, he has been eating well. Now is the only time he can gain weight and laze around a bit, so he is enjoying that time now. He said he will lose weight later when he comes back. Eunhyuk: Ryeowook who is in the midst of serving the army became the squad leader not too long ago and is excitedly spending his last year in army. He will be discharged this July. Sungmin released a new song through SM Station recently. Although he couldn’t join us for SJ’s group promotions, he got the opportunity to greet his fans for a bit. 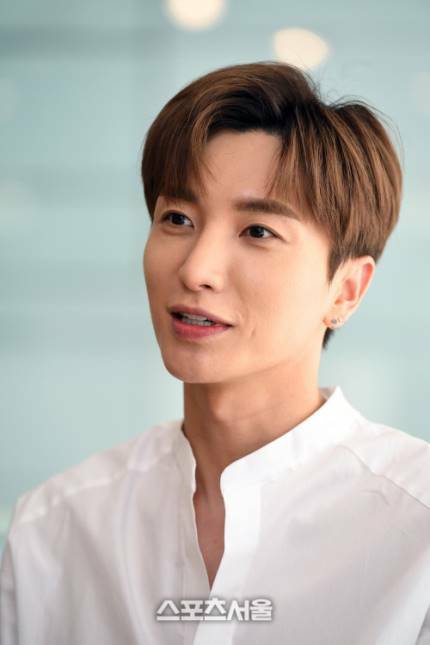 Leeteuk: SJ as a group recently went to various Asian countries for our concert tour. At the end of March we have our Taiwan concert, and at the beginning of April we are going to UAE Dubai together with the other SM teams. At the end of April, we have a tour around 4 South American countries. We are also sorting out other schedules while preparing for our repackage album. Q: The full strength is 11 members (Leeteuk, Heechul, Yesung, Kangin, Ryeowook, Kyuhyun, Siwon, Eunhyuk, Donghae, Shindong, Sungmin), but recently, because of enlistment etc. only 6 of you are promoting. Leeteuk: In my house, I have a photo which all 13 members took together (including Hankyung and Kibum) in front of my TV. I was watching H.O.T’s special on Infinity Challenge on TV recently and I kept looking at the photo. I felt the anticipation and wondered as time passes, could we too, see the appearance of all 13 members standing on the same stage again. We stood with 13 members on one stage until ‘Sorry Sorry’ in 2009. Q: When was the last time the current 11 members gathered altogether? Eunhyuk: Because we took turns to serve the army, it’s hard to match all of our timings. Leeteuk: If the 11 of us gather, the atmosphere would be kinda weird. Being together at full strength after such a long time, just thinking about it makes me feel touched. When that time comes, I’ll probably be very happy. Q: There seems to be a lot of fans who are waiting to see Super Junior with 11 members again. 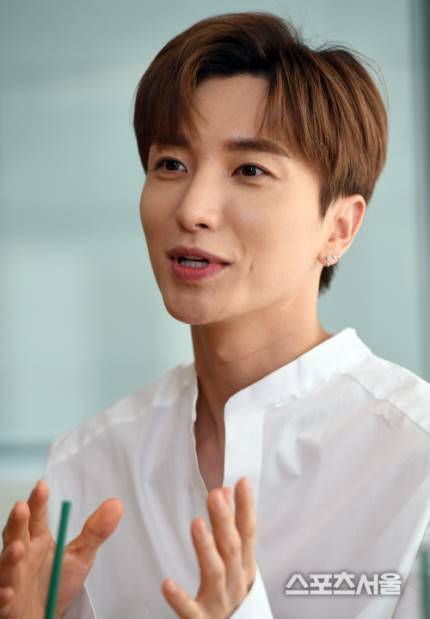 Leeteuk: We were the starting point for groups with many members. Our biggest advantage was that we had many members, it’s a pity that we are only promoting at half strength with 6 members. I’m anticipating to see if we will have the chance to have 11 members stand on one stage after Kyuhyun’s discharge in May 2019. 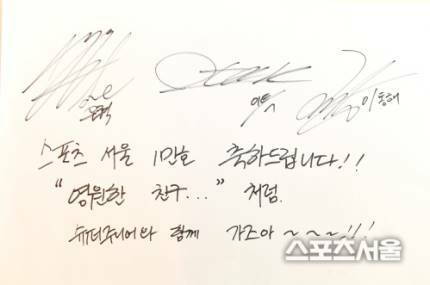 Eunhyuk: Even if it’s not at an official setting, even if it’s privately, I think we will have time to gather all 11 members next year. I’m looking forward to it.